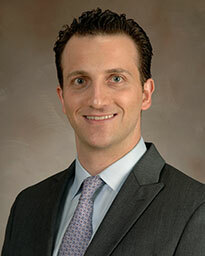 Dr. Yoshua Esquenazi is a neurosurgeon with fellowship training in epilepsy surgery and surgical neuro-oncology. He focuses his practice on brain and spine tumors. Dr. Esquenazi received his medical degree at the Universidad Anahuac in Mexico City, graduating as valedictorian. During his studies he participated in student exchange rotations at Harvard Medical School and Massachusetts General Hospital and Brigham and Women’s Hospital, as well as the William J. Harrington Medical Training Programs for Latin America at the University of Miami School of Medicine. He completed a general surgery internship at the Mayo Clinic in Rochester, MN and his neurosurgery residency training at the McGovern Medical School at UTHealth, where he was neurosurgery chief resident and recipient of the Alpha Omega Alpha Honor Medical Society (Delta Chapter) Resident Award and the Standing Ovation Award from Memorial Hermann-Texas Medical Center. During residency he worked in the medical school’s Neuroimaging and Electrophysiology Lab and then went on to complete a fellowship in epilepsy surgery at the same institution under Nitin Tandon, M.D. He subsequently completed a neurosurgery oncology fellowship at Memorial Sloan Kettering Cancer Center in New York City. He is an author of numerous book chapters and articles, and he received numerous awards and recognitions during his academic training. Dr. Esquenazi provides neurosurgery services at Mischer Neuroscience Associates-Texas Medical Center, integrating techniques such as brain mapping for awake craniotomies, stereotactic laser ablation, intraventricular endoscopy, stereotactic navigation and fluorescent microscopy to enhance safety during surgery and maximize tumor removal. He is fluent in Spanish and specializes in the following conditions and treatments.